Many years ago on one of our first visits to Grand Cayman we took the time to explore the Turtle Farm at its old location. 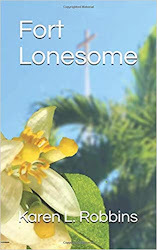 It was rather primitive compared to what it is today at the newer location opened in 2005 after Hurricane Michelle in 2001 and then Hurricane Ivan in 2004 destroyed the old location. There is quite a history behind the Turtle Farm. It began as a commercial venture in 1968 to raise turtles as a commodity but eventually many countries made it illegal to harvest turtles for consumption and commercial use because they were becoming endangered. 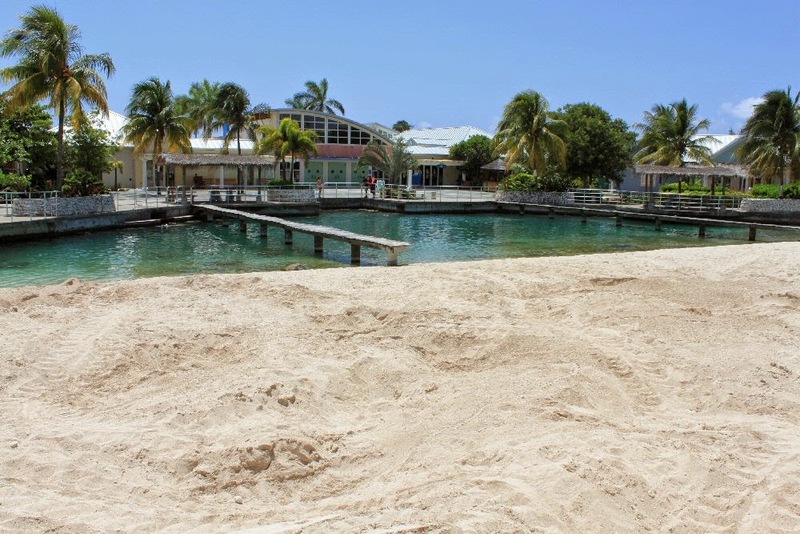 After passing through several hands, the Turtle Farm was purchased by the Cayman Government and a private company established to run the farm. Today the farm is mostly a conservation effort to keep the population of the green sea turtles viable. There are still some raised for local consumption but no product can be exported. A huge herd of breeding turtles occupies the breeding pond that is flanked by an artificial sandy beach where the turtles (and the invading iguanas) bury their eggs. The eggs are harvested and put into incubators in the educational facility where the hatchlings are kept until they are ready to be put in an outdoor tank to grow or be released. A nice video shows the process and gives you a bit of a break in wandering the facility as you sit in air conditioned comfort to watch. In the educational building, you can also see an example of what the eggs look like when they are buried. The turtle digs in the sand down to about two and a half feet or more, deposits the eggs, covers them and returns to the sea. In the wild, the hatchlings actually dig their way to the top of the sand in order to make their way to the sea. We purchased tickets to view the tanks and the educational building only. 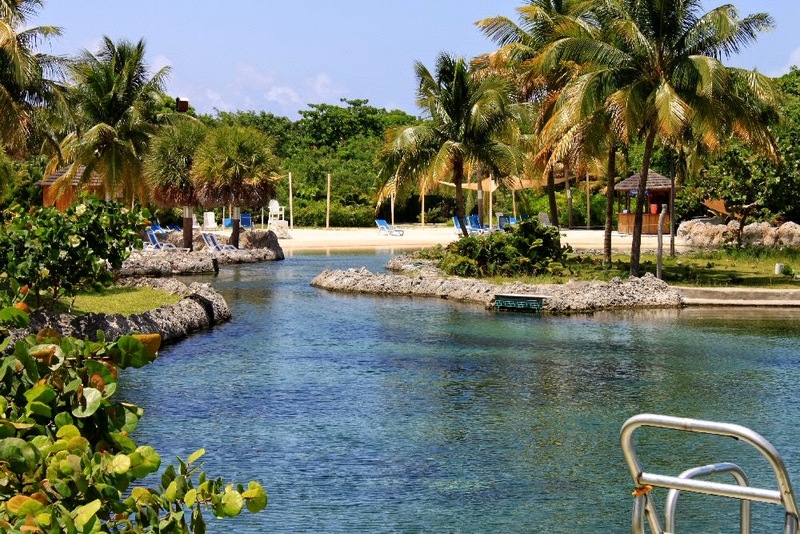 For a bit more, you can get to swim with the turtles (we were doing that while diving) and enjoy a lagoon area, see the aviary, walk a nature trail, view examples of old architectural buildings, and play on a water slide. There is also an underwater view of the predator tank (translated: sharks!). 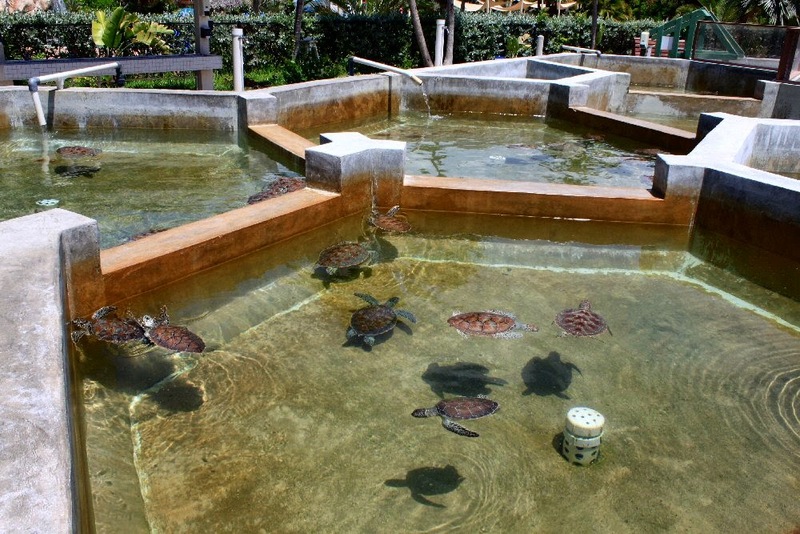 The Turtle Farm is a very nice attraction and an opportunity to take a break from the beach or the dive boat. It is north of Seven Mile Beach. Since it is inland, you may want to plan an early morning visit when it's not so hot. The facility opens at 8 a.m. The lagoon closes at 2:30 and the water slide at 4. 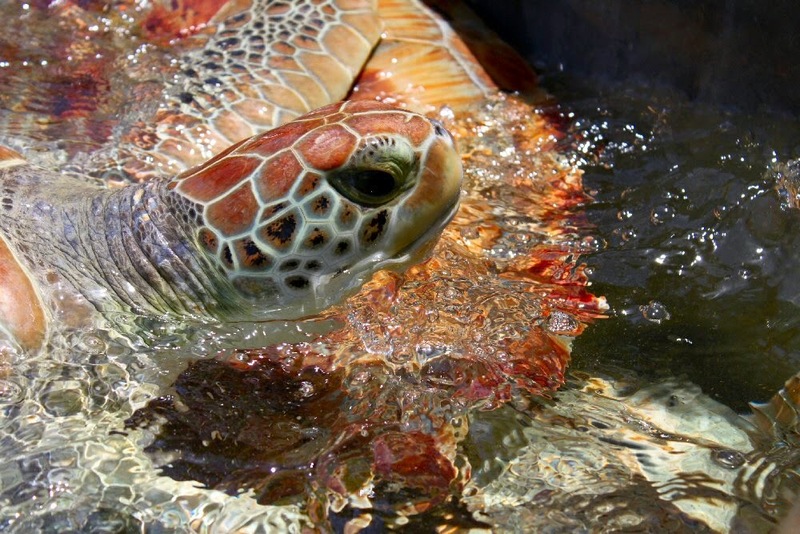 Check out theTurtle Farm website for more information.